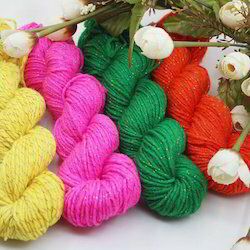 Our product range includes a wide range of woolen yarn, knitting yarn, acrylic yarn, acrylic blend yarn, hand knitting yarn and home furnishing yarn. "KDR Woollen Industries", established in the year 1961, is known to be one of the leading manufacturers, suppliers and exporters of this commendable range of Woolen Garments and Yarns. The range consisting of Uniform Sweater, Woollen Jacket and Woolen Pullover, Kashmiri Ladies Woolen Shawls has a high preference in the market. Manufacturing of these done in accordance with the industry set norms and guidelines, using the finest fabric, wool and modern machines, highly standardizes the products. In addition, the offered range is widely asked for, owing to its reasonable pricing. "KDR Woollen Industries", established in the year 1961, is known to be one of the leading manufacturers, suppliers and exporters of this commendable range of Woolen Garments and Yarns. The range consisting of Uniform Sweater, Woollen Jacket and Woolen Pullover, Woolen Yarn has a high preference in the market. Manufacturing of these done in accordance with the industry set norms and guidelines, using the finest fabric, wool and modern machines, highly standardizes the products. In addition, the offered range is widely asked for, owing to its reasonable pricing. 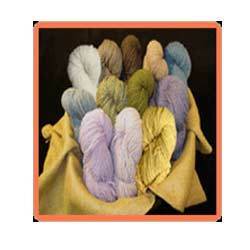 We are actively engaged in offering Acrylic Blend Yarn. 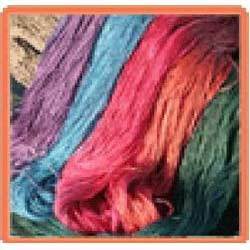 Our offered yarn is manufactured using synthetic fibers. Acrylic is formed into a continuous piece and wrapped into a ball, or skein, for knitting and weaving purposes in textile and apparel industries. The texture of these kinds of yarn is very smooth and silky. 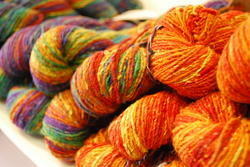 We are engaged in offering Hand Knitting Yarn. Our offered yarn is a long continuous length of interlocked fibers, suitable for use in the production of textiles, sewing knitting and weaving purposes. The entire range is available with us in various attractive colors and other specifications to meet with variegated demands of our clients. 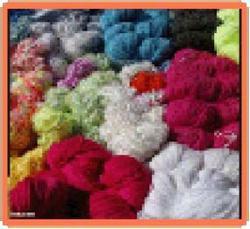 We are involved in offering Home Furnishing Yarn. Our offered yarn is made from High quality fibers and contemporary technology in adherence to meet with highest quality standards. Moreover, our offered yarn is extensively used in manufacturing of bathmats, throws, rugs and home furnishing accessories.